I am going to let you in on a little secret. I sometimes flip ahead in the pages of the story, because I am so curious about how the conflict in a story will resolve that I want to know that everything will work out right this instant. I always go back and read the middle of the story, but I do so with the knowledge that it will all work out in the end. 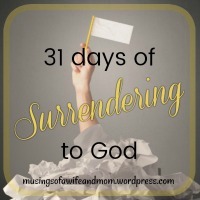 I am not always good about treasuring the middle of the journey, whether it be the middle of a long car ride, or waiting in the middle of a line. I told a friend that I feel like in this season of my life, I have planted seeds, and I have watered the seeds, and now I am watching the ground waiting for the first signs of growth. There is joy in the middle of the story, and I want to make sure that I am treasuring every minute of it. 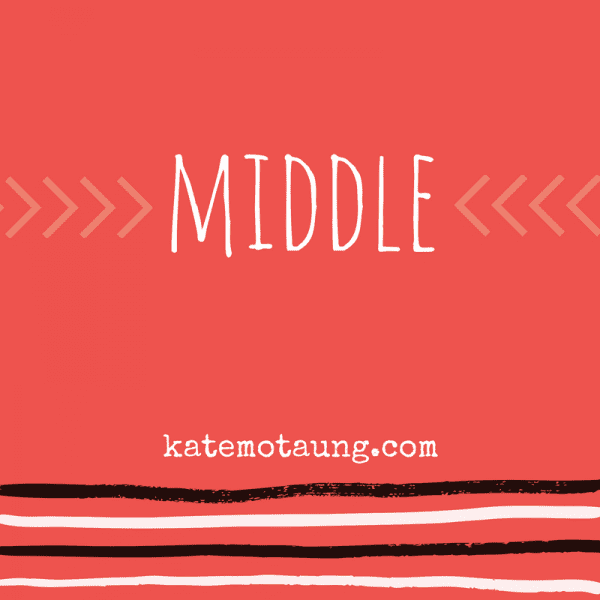 This is my thoughts concerning the word middle. Every week we gather for five minutes of free writing fun. You can learn more details about Five Minute Friday at http://katemotaung.com/. Three Word Wednesday Who am I? I feel very similar right now! All seasons are important growth stages, although a lot of them are infuriatingly hidden!! Yes, I keep telling myself that one day I may look back and see the growth, but until I keep pressing forward taking one day at a time. Thank you for stopping by. I hope you have a lovely weekend! The middle can be a difficult place. I used to look ahead to the ending of books all the time too, but lately I’ve been much better at living with the tension of not knowing until I get there! Yes, I want to get to that place of being comfortable of not knowing until I get there. Thank you for stopping by! Ha! Sometimes you just have to turn to the end to see what happens. : ) I hope you have a lovely weekend! I like to read the end of a story and sometimes flip back to the middle. I hope you have a great week too! Blessings to you, and thank you for stopping by.